Eighty percent of patients who visit headache specialists complain of chronic daily headache (CDH), which is defined as attacks lasting more than four hours a day and occurring at least 15 days each month, according to International Headache Society criteria. Many experts believe that a majority of cases of CDH are caused by overuse of analgesic or other acute headache medications, leading to the now-common term and provisional diagnosis, “medication overuse headache” (MOH). The process leading to MOH can begin innocently enough when the patient begins to take, or is prescribed, one or more medications to ease or halt occasional or episodic severe headache symptoms, usually of the migraine type. For some, taking daily medication for headache can make life nearly normal. For many others, however, an increasing frequency or severity of headache gradually becomes a major problem, prompting escalating dosages or numbers of acute pain medicines, perhaps leading up to opioids or opiates. When these medications either no longer relieve migraine within two hours or interfere with daily functions, patients become desperate and seek medical attention. There is actually no scientific proof that medication overuse can cause CDH, “but everybody believes that it does,” said Stephen D. Silberstein, MD, Professor of Neurology at Jefferson Medical College in Philadelphia. According to Fred Sheftell, MD, Co-Director of the New England Center for Headache in Stamford, CT, the “definitive clinical paper” reporting MOH was written more than 20 years ago by Lee Kudrow, MD, formerly Director of the California Medical Clinic for Headache in Encino, CA (Adv Neurology 1982;33:335–341). Joel R. Saper, MD, Director of the Michigan Head Pain and Neurologic Institute in Ann Arbor, characterized the MOH or “rebound” syndrome as a “self-sustaining headache-medication cycle resulting from too-frequent use of abortive medications,” in Headache Disorders (John Wright-PSG, Inc. 1982). On the basis of a study of 100 patients who took ergotamine tartrate and caffeine (Cafergot), he said the frequency of use of abortive medications was “critical” and should be limited to two to three days a week. By far the worst offender in MOH causation is the barbiturate butalbital. It is found in such combination prescription drugs as Fiorinal and Fioricet. In fact, the potential for overuse of this drug is so great that it has been banned in all but two countries, the US and Canada. “All I do day and night is take people off butalbital,” said Dr. Sheftell. Next in line is hydrocodone, then perhaps acetaminophen with codeine, then over-the-counter analgesics containing acetaminophen or aspirin as well as caffeine. Then the triptans and other opiates and opioids – “just about everything you might use to treat severe headache symptoms except dihydroergotamine (DHE) and prochlorperazine,” said Dr. Silberstein. DHE can be taken by patients at home in the form of a nasal spray or subcutaneous injection. Prochlorperazine can only be administered intravenously, however. Other “probably safe” drugs used to treat headache include the non-steroidal anti-inflammatory drugs (NSAIDs) such as ibuprofen or naproxen sodium but especially the long-acting ones such as meclofenamate or indomethacin, the COX-2 inhibitors such as rofecoxib or celecoxib, and steroids. The key is to limit drug use to two to three days per week, according to Drs. Rapoport and Sheftell. The NSAIDs are used sometimes as “replacement” therapies during withdrawal treatment from analgesics or other overused drugs. In fact, clinicians say that CDH ceases, or at least is likely to improve, after withdrawal of the overused medication. But withdrawal is not always easy, so interventions in addition to withdrawal of the overused medication are carried out. There really are no accepted treatment guidelines for CDH. However, chapters on CDH and MOH in Wolff's Headache and Other Head Pain (Silberstein SD, Lipton RB, Dalessio DJ, eds. 7th ed. Oxford University Press, 2001) are instructive, as is Advanced Therapy of Headache (Rapoport AM, Purdy RA, Sheftell FD, eds. B.C. Decker, 1999), available as a book or CD-ROM. 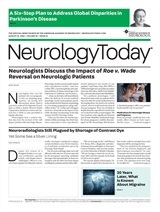 Educating CDH patients about MOH is key, headache experts told Neurology Today. Once patients understand the situation, neurologists must urge them to try withdrawal therapy. Different headache specialists use different strategies, most of which can be accomplished on an outpatient basis. One important component is the use of prophylactic agents for migraine. Either at the time the withdrawal therapy begins or sometimes in advance of it, a prophylactic agent is prescribed. These include antiepileptic drugs (particularly topiramate and divalproex), calcium channel blockers, beta-blockers, antidepressants, low doses of anti-psychotic drugs such as quetiapine fumarate (Seroquel), angiotensin receptor blockers, or even botulinum toxin injections. Prophylactic agents are chosen on the basis of any co-morbid conditions or common conditions that co-exist with chronic migraine – for example, borderline personality, depression, or anxiety; obesity; hypertension; allergies; asthma; or high daily consumption of caffeine. The co-morbid psychiatric disorders are thought to share pathogenic mechanisms with migraine. If there are no co-morbid disorders, a physician's knowledge and experience with the medication may govern the choice. But for any of these to be effective, patients must stop taking the offending medications, headache specialists say. Antiepileptic agents have become quite popular for prophylaxis. The generally accepted explanation is that they decrease cortical excitability – believed to be a factor in migraine – and decrease central sensitization. In a soon to be published paper, Dr. Silberstein and colleagues report that a 100 mg daily dose of topiramate has a good efficacy or tolerability ratio in the prophylaxis of migraine (Expert Review of Neurotherapeutics 2003;3(5)). “Actually it's amazing,” said Dr. Silberstein. “About half the time, you put patients on these drugs, the headaches get better, and the patients just stop taking their other medications.” He and colleagues will begin a placebo-controlled study of the use of topiramate in preventing CDH soon. Other research with preventive agents involves using triptans with long half-lives. A study by Dr. Rapoport reported encouraging results in a small number of refractory patients in terms of reducing the frequency of headache days and the number of days with severe pain each month (Headache 2003;43:482–489). With the prophylactic agent on board, and depending on the extent of the medication overuse, patients are instructed either to stop or gradually taper use of acute medications. They are given other drugs to help with their headache symptoms during this period – such as NSAIDs, diphenhydramine (Benedryl), antiemetics, and triptans. Patients are advised not to take medication if a headache remains mild, according to Nazhiyath Vijayan, MD, Professor of Neurology at the University of California-Davis Medical Center in Sacramento. Behavioral medicine techniques, such as biofeedback and relaxation, are also helpful. So, too, is working with a psychologist who is aware of the patient's situation and who can give the patient some tricks to help stick with the program and avoid relapse, Dr. Rapoport said. The withdrawal period is relatively easy for some patients and extremely difficult for others, as severe headaches can occur. Many patients do better if they can step back from their normal activities for up to two weeks. However, if patients cannot comply with withdrawal therapy on an outpatient basis, or have other medical problems, hospitalization is necessary. It is usually covered by insurance, “but it's always a fight,” Dr Rapoport said. Institutions with inpatient headache units usually have at least one full-time employee who spends most of the time talking with insurance companies or HMOs. Although most headache specialists admit patients to the hospital from time to time, only a few now run headache inpatient units in addition to their regular outpatient practices. The larger ones include those directed by Dr. Saper in Ann Arbor (the first such unit started in 1978), Dr. Silberstein in Philadelphia, Seymour Diamond, MD, in Chicago, IL, and Ninan Mathew, MD, in Houston, TX. Depending on the unit and the patient, the time in hospital can range from days to two or three weeks. In these units, intravenous medications are administered to assist the patients in withdrawal. These include IV DHE, neuroleptics, valproate sodium (Depacon), ketorolac tromethamine (Acular), and others. “About 75 percent of the people treated in my unit experience improvement,” said Dr. Saper, either decreased frequency (including absence) of headaches or a decreased intensity and duration of headaches, usually resulting in less disability and enhanced quality of life. “When and if they relapse, it can be for a variety of reasons,” Dr. Saper said. Sometimes the drug effects do not last as long as we hope. Sometimes patients don't abide by suggested restrictions such as not drinking or smoking. Some get a bad headache, go to the emergency room, and someone pops them with a dose of meperidine (Demerol) and they're back in trouble. Sometimes, the behavioral aspect of the rebound syndrome – for example, when patients fear the onset of headache and take the medication preemptively – has not been sufficiently addressed. “Or the condition itself can progress,” Dr. Saper continued. “Migraine is a chronic disorder, so we're talking about control and continuity of care for a chronic illness.” Dr. Sheftell, too, noted that exacerbations and remissions are not uncommon, similar to other chronic illnesses. Dr. Silberstein reported results from treating CDH in 50 consecutive hospitalized patients with repetitive IV and prophylactic medications in 1992 (Headache 1992;32:439–445). Of the 50 patients, most had chronic migraine; 20 were using prophylactic medication. Substances that were abused, alone or in combination, were caffeine, acetaminophen, aspirin, ibuprofen, morphine equivalents, and ergotamine. Two years later, 39 patients were analyzed; 59 percent had a good or excellent result, 28 percent a fair result, five were overusing analgesics, and four of these were doing poorly. The results are similar today, he said. Almost everyone agrees that medication overuse can lead to CDH, but can CDH exist independently of medication overuse? A debate on the subject – which originally took place live – was published last year in Headache (2002;42:547–554). Stewart J. Tepper, MD, Co-Director of the New England Center for Headache, asserted that analgesic overuse is a cause of CDH. Dr. Dodick argued the opposite. Among other points, Dr. Tepper cited studies indicating that analgesics taken for reasons other than headache could cause CDH. In one study of 28 patients, codeine or other opiates were used for control of bowel motility after colectomy. Two patients with a history of migraine who used daily opiates developed CDH after surgery (Headache 2001;41:303–309). In another study of 103 patients using analgesics regularly for arthritis, eight with a history of migraine had developed CDH, although in one patient CDH occurred long before regular use of analgesics. Still, 41 percent of those who did not develop CDH had a history of migraine and 27 percent had a history of tension-type headache (Headache 2003;43:179–190). Yet another large study from Norway linked daily analgesic use to CDH (as well as other types of chronic pain) 11 years later, concluding the relative risk for CDH associated with analgesic overuse was 19.6 percent compared with 3.1 percent for those without analgesic overuse (Neurology 2003;61:160–164). In an editorial accompanying the Norwegian study, Richard B. Lipton, MD, Professor of Neurology, Epidemiology, and Social Medicine at Albert Einstein College of Medicine, in the Bronx, NY, and Marcello E. Bigal, MD, PhD, a fellow with Dr. Lipton and Dr. Sheftell, also questioned whether analgesic overuse is a cause or a consequence. As for the 80 percent success rate that many claim they achieve in withdrawing patients from offending drugs, be they analgesics, triptans, or something else, Dr. Dodick countered: “There's never been a study of patients who are taken off their medications as the only therapeutic maneuver.” You re-institute another acute medication, you put them on a preventive medication, you send them to a psychologist, and so on. Usually what we see are short-term results for these patients. It's been my experience that 80 percent of patients who stop taking daily analgesics continue to have headache. Aside from possible medication overuse, there are other risk factors for the development of CDH. Identified by Ann I. Scher, with Dr. Lipton and Robert B. Stewart, risk factors include frequent caffeine consumption, obesity, snoring, headaches of high frequency (two or more per week), stress, hypertension, alcohol overuse, hypothyroidism, viral infections, and sleep disturbances (Curr Pain Headache Rep 2002;6:486–491). The controversy about whether CDH results from MOH, notwithstanding, CDH continues to be a prevalent condition in the offices of neurologists. The hope is that new studies with prophylactic and other treatments may lessen the problem as might, perhaps, warning labels on some over-the-counter and other acute headache medications. ✓ Many experts believe that a majority of cases of chronic daily headache are caused by overuse of certain medications, leading to the now-common term medication overuse headache (MOH). ✓ Drugs that lead to MOH include hydrocodone, acetaminophen with codeine, over-the-counter analgesics with combination acetaminophen, aspirin, and caffeine, as well as triptans, opiates, and opioids. ✓ Chronic daily headache ceases, or at least improves, after withdrawal of the overused medication, but withdrawal is not always easy. ✓ Treatment interventions range from prophylactic agents to behavioral medicine techniques and intravenous drugs. Awakening with or experiencing a headache at the same time each day when this has not previously been a feature of past headache patterns. Source: Handbook of Headache Management. Saper JR, Silberstein SD, Gordon CD, Hamel RL, Swidan S. 2nd ed. Lippincott Williams & Wilkins, 1999. ♦ Chronic migraine occurs on 15 or more days per month for more than three months in the absence of medication overuse; it begins as episodic migraine without aura and over a period of months or years becomes chronic. Associated symptoms of photophobia, phonophobia, and nausea may become less severe and less frequent. ♦ New daily persistent headache is daily and unremitting beginning very soon after onset (within three days at most). Pain is typically bilateral, pressing or tightening in quality, and is of mild to moderate intensity. It may be accompanied by photophobia, phonophobia, or mild nausea. ♦ Chronic tension-type headache evolves from episodic tension-type headache with no features of migraine. It occurs 15 or more days per month on average for more than three months. It is typically bilateral pain, pressing or tightening in quality, and of mild to moderate intensity, not worsened with routine physical activity. Mild nausea, photophobia, or phonophobia may be present. ♦ Hemicrania continua is rare, persistent, strictly unilateral headache responsive to indomethacin. Pain is daily and continuous, of moderate intensity but with exacerbations of severe pain. At least one of the following autonomic features occurs during exacerbations and ipsilateral to the side of pain: conjunctival injection or lacrimation; nasal congestion or rhinorrhea; ptosis or miosis.